When it comes to clothes, at henry and grace we believe that natural is better and that sustainable is best, that’s why we use Gostwyck merino. We all wear clothes every day, they help define the image we show to the world. As such they act as a reflection of who we are and the decisions that we make. The choice of what our clothes are made of should be just as important as the way they look. We are reaching a turning point as the dangers of climate change become ever more apparent. Man-made climate change is starting to have devastating effects on the environment. This is all the more apparent for those of us that live on the land, subject to the whims of that very same climate. Recently we have seen the polar vortex across the United States and heatwaves across much of Eastern Australia, devastating floods in North Queensland and the English wearing shorts in February (a terrifying sight at the best of times). All this at a time when vast swathes of Australia are in the grip of a record-breaking drought. It is for all of us to take responsibility to ensure that we leave the planet in better condition than we found it so that future generations can enjoy all that this incredible world has to offer. Clean air to breathe, clear seas to swim in, and unpolluted ground to lay on should be the right of all people. This can only be a reality if people help to reduce greenhouse gas emissions, avoid articles that pollute the seas, reduce chemicals that can poison the earth, and reject products that do otherwise. One issue that we face is that many of the industries that are most central to our everyday lives are also the industries that are causing much of the harm to the planet. Textiles are one such indispensable industry, from clothes to curtains to rugs and carpets, we use textiles every day and yet many of the products and processes used in the textile industry are contributing to the damage of the planet. In 2015 the textile industry was responsible for 1.2 billion tonnes of CO2 equivalent emissions, more than the release of all international flights and maritime shipping combined (Editorial, 2018). The reason for this huge level of emissions is that there are enormous amounts of energy required to produce the fibres that go into our textiles. The amount of energy required varies depending on the type of fibre. Nor is it just carbon that is the issue, there are other pollutants as well as environmental concerns that arise from various fibres and their production. Drilling for oil, mining for coal, the use of harsh chemicals and excessive water use are all facets of fibre production that pose a potential risk to the environment. There are many different fibres that are used in the production of our clothes, they fall into three different categories; Natural, semi-synthetic and synthetic. The most common natural fibres are Wool and Cotton. The most common semi-synthetic is Rayon, and the most common synthetics are Polyester, Acrylic and Nylon. The first natural fibre we’ll look at is merino wool, specifically the Gostwyck merino used in henry and grace. When it comes to the production of merino there are a couple of areas that need to be considered, first the way that the fibre is grown and second the manufacturing process. When it comes to the way that wool is grown, Gostwyck farm is at the forefront of merino production, specifically regarding animal welfare and environmental sustainability. Animal treatment includes the fact that Gostwyck is proudly mules free and constantly monitors sheep health to ensure that Gostwyck sheep are happy sheep. Sustainable grazing practices are also employed to ensure the greatest possible carbon sequestration occurs and that there is clean water run-off downstream. 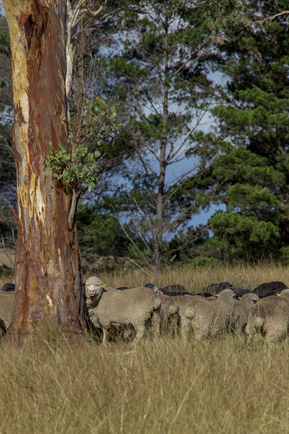 Gostwyck Farm is proudly certified by the Responsible Wool Standard (RWS), an independent organisation that audits farms to ensure that they treat their sheep ethically and engage in sustainable practices. Once wool has been sent for processing there is energy used in the cleaning and spinning of yarns, however this does not involve the use of harsh chemicals. This energy is approx. 63 MJ per kilogram of fibre (Estimating the carbon footprint of a fabric, 2011). The second natural fibre is cotton. Cotton is relatively efficient in carbon thanks to simple production requirements. It is the impact of growing cotton that is of greatest concern. 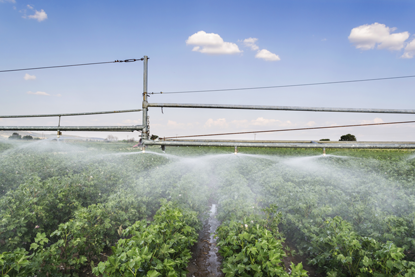 Cotton is highly water intensive, needing 7.8 mega-litres of water per hectare (Reading), the vast majority of which comes in the form of irrigation. Hot and dry conditions only increase the requirements for water. Even organic cotton may not be the solution. While organic cotton does not employ any synthetic pesticides, evidence suggests that the volume of water used in the production of organic cotton far outstrips that of regular cotton in litres needed per kilo of fibre.The result of this large scale irrigation can be damaging downstream environments due to a lack of adequate water. In addition to removing water from the ecosystem, pesticides used in cotton farming have also been shown to leach into watercourses with devastating impacts. In the semi-synthetic category we have Rayon. While rayon is a cellulose based fibre derived from wood or bamboo pulp, it is considered semi-synthetic owing to the high degree of processing involved in its production. To produce rayon wood pulp is dissolved in chemicals, this dissolving pulp is then dried and spun into fibres. The carbon cost of Rayon production is 100MJ/kg, an additional 40MJ on the carbon cost of wool (Estimating the carbon footprint of a fabric, 2011). In addition to the carbon cost the Rayon production process is very chemical intensive while also being highly inefficient with about 60% of the wood matter lost through chemical breakdown. The other drawback in the production of rayon is deforestation. Much of the wood pulp used to produce rayon comes from old growth forests. Some mills source their trees from Canada’s boreal forest, Indonesia’s rainforest, and the Amazon. Organisations such as Canopy are working to educate brands to demand sustainably sourced rayon, however as demand for rayon continues to grow more forests will be in danger. The most common synthetic is polyester. Polyester is made by engineering a polymerization reaction in a vacuum at high temperatures between a petroleum by-product, alcohol and acid. The resulting “ester” is then melted and spun into thin fibres. The exact processes involved remain closely guarded trade secrets, known only to the individual companies producing modern polyester. All told the production of Polyester involves a carbon cost of 125MJ/kg, double the carbon cost of wool (Estimating the carbon footprint of a fabric, 2011). The most common form of polyester is polyethylene terephthalate (PET), which is also commonly used to create plastic drink bottles. Nylon, another common synthetic is made by the melting of plastic nylon chips that are then drawn into long fibres. This process is exceptionally carbon intensive, requiring 250MJ of energy for every kilo of fibre produced, 4 times the carbon cost of wool (Estimating the carbon footprint of a fabric, 2011). In addition to CO2 emissions, the production of fabrics such as nylon also produces nitrous oxide, a gas 300 times more damaging to the ozone layer than CO2. Another common synthetic fibre is acrylic, formed from the combination of coal, oil, limestone, water and air. 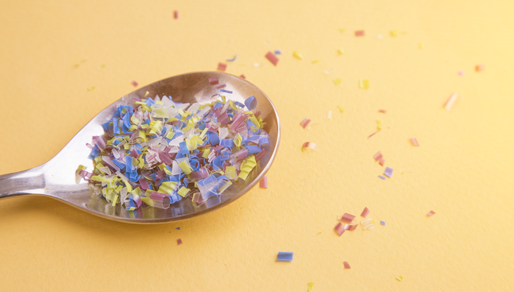 The melted plastic is then squirted through either water or air in the form of a thin fibre to cool before being spun. While slightly better than Nylon, the carbon cost of Acrylic is almost 3 times that of wool at 175MJ/kg (Estimating the carbon footprint of a fabric, 2011). Being heavily reliant on oil and in some cases coal, production of synthetic fibres is entirely unsustainable. The production of these base materials also pose their own environmental risks. One need only remember the Deepwater Horizon oil spill that covered the Gulf of Mexico, or the Exxon Valdez spill that covered 1300 miles of Alaskan coastline in oil. The impact of coal mining for can be no less disastrous, if a little more subtle. Impacts such as increases in water toxicity, and acids and heavy metals leaching into watercourses can cause devastation to the ecosystem (Australian Bureau of Statistics, 2003). Neither of these fossil fuels has a long term future in the textile industry and for the safety of workers and the environment they should be moved on sooner rather than later. The issues with synthetic fibres are not limited to production either. The area of greatest and growing concern is that of micro plastic or microfibres. These are small plastic fibres, less than 1 mm, that are dislodged from clothes during washing or wearing. The vast majority of these microfibres enter rivers, oceans and waterways. A single fleece jacket has been found to release as much as 1.7 grams of microfibres per wash (Hartline, et al., 2016). The scale of this issue is immense with one study finding that microplastics accounted for 85% of human-made debris on shorelines around the world (Browne, et al., 2011). reproduction (Thompson, 2018). These impacts may not be limited to marine animals either. With the ubiquity of microplastics and their ability to remain in the body, it is inevitable that some microplastics will enter the human diet. Based on current research it is likely that once ingested microplastics will inhibit the human immune system and cell health (Smith, Love, Rochman, & Neff, 2018). While plastic recycling has been a great step forward in recent years, with some polyesters produced from old drink containers, the problem of microfibres can not be avoided. Indeed it may prove that recycling 1 bottle and breaking it down into millions of microfibres may be worse in the long run (Messinger, 21 Jun 2016).Until filtration systems are able to prevent microfibres from entering our waterways, synthetic fibres are risk we can’t afford to take. What happens when they’re all worn out? Finally we must ask the question of what happens to those old clothes when they’re worn out, no longer fit, or fashion has once more moved on. This is a question that is only growing in importance as pace of the fashion industry increases. This idea of fast fashion has come about as a result of the low cost and ubiquity of modern clothing, spurred on by the ease of online shopping. This obsession with new clothes is led by North America and Australia, each of which purchase an average of 27kg of new clothes and textiles per person per year (Pepper, 2017). While many consumers might have good intentions in recycling their used garments, the truth is that in Australia alone over 500,000 tonnes of textiles end up in landfill every single year (Australian Bureau of Statistics, 2013). In these situations synthetic fibres can take centuries to break down in landfill. By contrast wool is fully biodegradable and can simply be thrown in the compost to naturally break down. In doing so this closes the loop of a natural fibre that is produced from the earth and when finished will return to the earth. In the end we choose to use Gostwyck merino because we believe in using only the best materials. By using Gostwyck merino we can provide you not only with the softest, most comfortable clothes, but we can provide comfort in peace of mind. That is the peace of mind that comes from knowing that your clothes are certified as being ethically produced, with the health and sustainability of the sheep, land, and all factory employees given the utmost importance. Australian Bureau of Statistics. (2003). Year Book Australia, Mining and the environment. Australian Bureau of Statistics. Australian Bureau of Statistics. (2013). Information Paper: Towards the Australian Environmental-Economic Accounts, 2013 . Canberra: Australian Bureau of Statistics. Browne, M. A., Crump, P., Niven, S. J., Teuten, E., Tonkin, A., Galloway, T., & Thompson, R. (2011). Accumulation of Microplastic on Shorelines Woldwide: Sources and Sinks. Environmental Science & Technology, 45 (21), 9175-9179. Editorial. (2018). The price of fast fashion. Nature Climate Change. Hartline, N., Bruce, N., S.N., K., Ruff, E., Sonar, S., & Holden, P. (2016). Microfiber Masses Recovered from Conventional Machine Washing of New or Aged Garments. Environmental Science & Technology, Vol. 50, No.21, pp.11532-11538. Messinger, L. (21 Jun 2016). How your clothes are poisoning our oceans and food supply. The Guardian Australia. Pepper, F. (2017). Australia's obsession with new clothes and 'fast fashion' textiles hurting the environment. Melbourne: ABC News. Reading, K. (26/7/2017). Murray-Darling Basin Plan: How much water is used to grow cotton? ABC online. Smith, M., Love, D. C., Rochman, C. M., & Neff, R. A. (2018). Microplastics in Seafood and the Implications for Human Health. Current Environmental Health Reports, Volume 5, Issue 3, pp 375–386. Thompson, A. (2018). From Fish to Humans, A Microplastic Invasion May Be Taking a Toll. Scientific American.